iBall CompBook M500 with Intel Celeron processor was launched in India in July this year for a price starting at Rs 16,999. Following the debut of CompBook Merit G9 in May, iBall added this new device to its CompBook series and released two variants of CompBook M500 on with Windows 10 Home Version and the other with Windows 10 Pro version. The affordable notebook comes with an intelligent power saving feature and built-in antivirus. iBall CompBook M500 is available for purchase via e-commerce portal Flipkart, Amazon and brick and mortar stores as well. CompBook M500 is powered by a 2.4GHz Intel Celeron N3350 processor and has 4GB of DDR3 RAM. Internal storage onboard is 32GB, which can be further expanded up to 128GB via microSD card. It includes, optional hard drive support enabling users to attach a hard drive or SSD which supports storage up to 1TB. The laptop sports a 38 WH Li-Polymer battery. We used the iBall CompBook M500 Windows 10 Home version for about two weeks and here is our review. 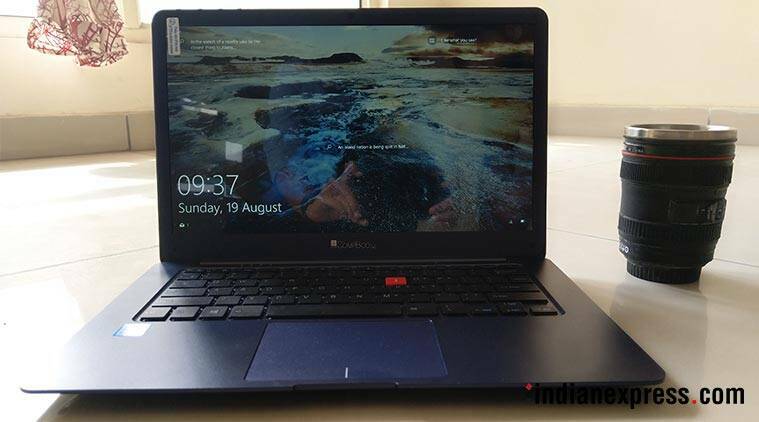 iBall CompBook M500 review: What’s good? iBall CompBook M500 features a 14-inch (1920 x 1080 pixel resolution) IPS Full HD screen that offers good viewing angles and colour rendition. Although the display is reflective, we faced minimal glare distraction. The CompBook M500 bears a simplistic design with a sleek panel, curved body. The laptop is pretty light and weighs 1.30kg. It comes with a glossy Cobalt Blue Hue finish that adds a neat touch to the laptop. Further, the lightweight body makes it convenient to carry it on-the-go. The display comes with thin bezels offering ample screen real-estate to consume content. The CompBook M500 offers a decent sound experience for its price. It comes pre-loaded with Dolby access, however, you need to download the additional file to access and run the app. 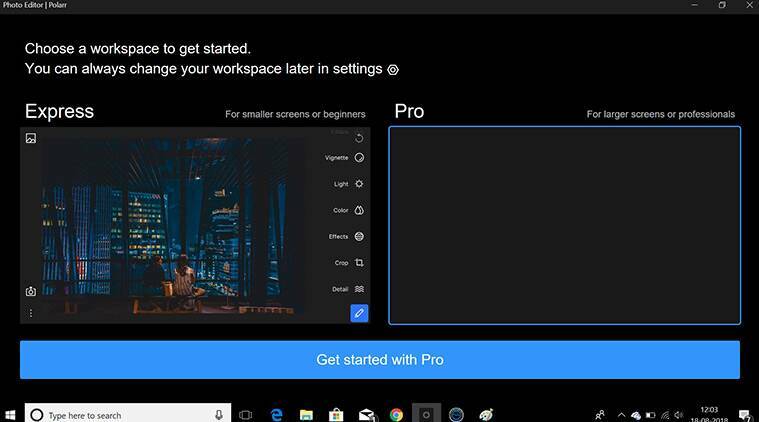 It includes Photo Editor Polarr app as well that allows you to edit, adjust vibrancy, saturation and add filters on an image. The budget CompBook M500 comes with a standard Notebook keyboard that provides a comfortable typing experience. But unlike some laptops, this doesn’t have a dedicated numeric keypad. Coming to internal hardware, CompBook M500 is powered by Intel Celeron N3350 Processor clocked at a speed of up to 2.4 GHz. It runs Windows 10 Home version and comes integrated with Intel HD Graphics. The interface on the CompBook laptop is simple and interactive. 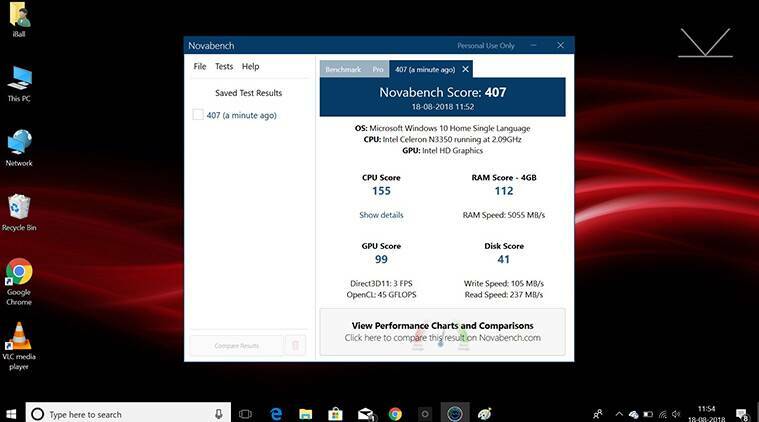 We ran a few benchmarks on CompBook M500 and the laptop managed to score 407 on Novabench, which is not great, but then this is a budget laptop. As for the battery performance, it lasted about 4 hours while streaming movies at 720p, which is not bad. While typing on a notepad with a few tabs opened on Google Chrome, the laptop could deliver nearly 5 hours of backup. In terms of gaming, we didn’t face stutter while running casual, low-file size games. However, the laptop is not meant for graphics-intensive gaming. 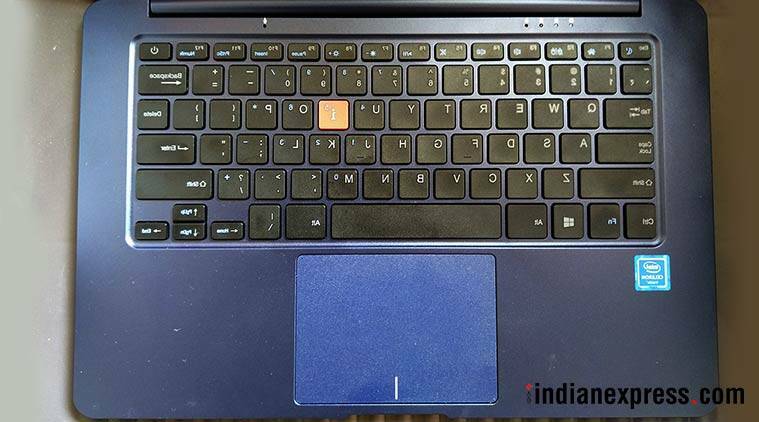 iBall CompBook M500 review: What’s bad? Although the budget CompBook M500 provides decent sound and typing experience, we were quite disappointed with the overall performance. During our usage over the last two weeks, we could barely use the laptop for multitasking. While opening notepad and eight tabs on Google Chrome alongside, switching between tabs was difficult and web pages took time to load. During one occasion, the laptop froze for a good couple of minutes and we had to forcefully shut down the system. Although the touchpad on CompBook M500 comes with multi-touch gesture support, we had to struggle pressing the pad each time ,while opening a tab or an app even when the sensitivity level was set at ‘Most sensitive.’ Another aspect that was disappointing was the placement of the speakers. Even though the laptop provides decent audio experience, the speakers are placed at the bottom and the sound gets muffled. To sum up things, the affordable CompBook M500 laptop is a decent option for those who prefer a compact; sleek designed, easy-to-carry laptop. For a price of Rs 16,999 (base model), the CompBook M500 offers simplistic design, good display with minimal glare, decent sound experience and battery backup. With screen brightness pulled to medium or minimum level, you can easily stream videos or movies for about 4 hours. However, the laptop is strictly not meant for throttling heavy graphics-intensive games or multitasking. Overall, CompBook M500 is a suitable option for users who prefer a decent display for streaming content or writing a few notes.